This DVD ships with additional footage about the Tree Project. It will include the making of the exquisite park benches and grass blade sculptures placed within the landscaped grounds of the Blacksmiths’ Tree. This dual-layer DVD will be packaged within a beautiful recycled boxboard material. Costs will include GST and postage and handling. This DVD ships with additional footage about the Tree Project along with a selection of short films. It will include the making of the exquisite park benches and grass blade sculptures placed within the landscaped grounds of the Blacksmiths’ Tree. This dual-layer DVD will be packaged within a beautiful recycled boxboard material with artwork designed b Amanda Gibson. 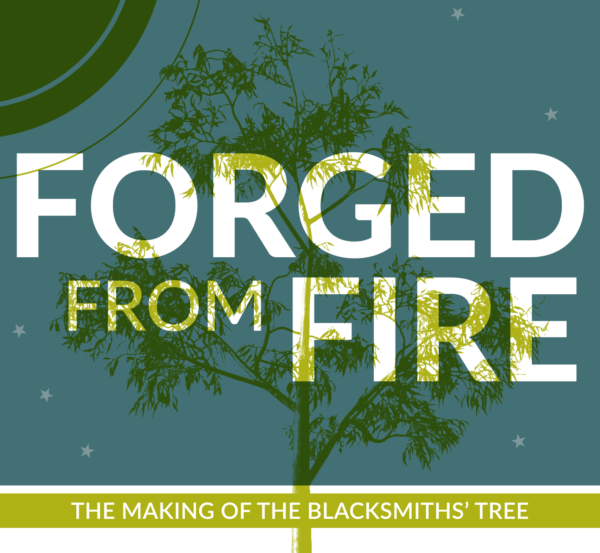 Forged from Fire is an entirely independent, artist/filmmaker driven production. The film is also distributed by its small crew living and working in regional Victoria. Purchasing a DVD supports independent filmmaking and distribution in Australia.